Call for applications for AFRIKA KOMMT Fellowship 2019 – 2021 for Future Leaders from Sub-Saharan Africa. The Afrika KOMMT Fellowship is a fully funded Africa fellowship. The duration of the African Fellowship Program is one year and after one year all the selected participants have to return to their own countries. Travelling expenses – Flights, Visa, etc. AFRIKA KOMMT! is a practice-oriented fellowship programme. Fellows will receive two certificates. One official certificate upon successful completion of the programme with a detailed description of the specific contents and components of the training and one official certificate by the partner company upon successful completion of the internship. 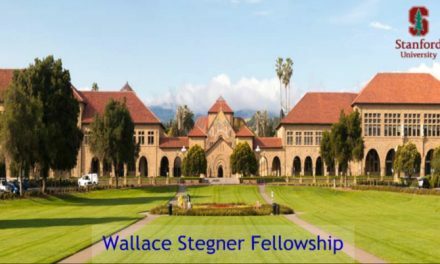 Yale Maurice R. Greenberg World Fellows Program 2019 in USA. Refresher course in Germany or Africa, approx. 6-12 months after the stay in Germany, offering the former fellows to extend their networks with other alumni and to mutually benefit from their experiences. The AFRIKA KOMMT! fellowship programme aims at highly qualified, self-driven young professionals and junior executives from Sub-Saharan Africa with several years of hands-on work experience, strong leadership qualities and a very high level of commitment and dedication. 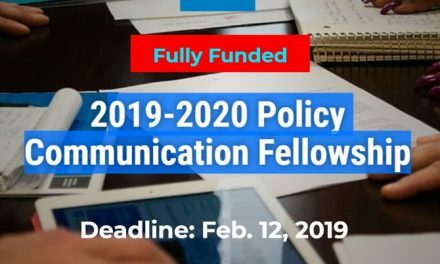 How to Apply for AFRIKA KOMMT Fellowship 2019 – 2021 for Future Leaders? Click on the APPLY NOW button below to proceed the online application. Please fill in your email address below in order to access the application form. If you are registering for the first time, a password will be send automatically to your email address. If you have already registered using the same email address, you will be asked for a password. Please note that all the information you enter during the application process will be saved automatically, so you can come back to the application form whenever you desire until having completed all the fields required. We assure that all data will be kept absolutely confidential. The last date to apply for AFRIKA KOMMT Fellowship 2019 – 2021 for Future Leaders is 11th of January, 2019.